Santa Claus is the most anticipated guest for the New Year from all the girls and boys. He brings gifts to children who are waiting for him. Early morning, January 1, children find these gifts under the tree. They are very excited about this event and incredibly much thank him for that. This year Santa Claus red nose are all prepared for their mission. He read all the children's wishes, bought a gift, feed the reindeer and put the gifts into the bag. He was the last. His beard looks very unkempt and overgrown. Girls, let's help him become more beautiful and help Santa Claus to update his beard. 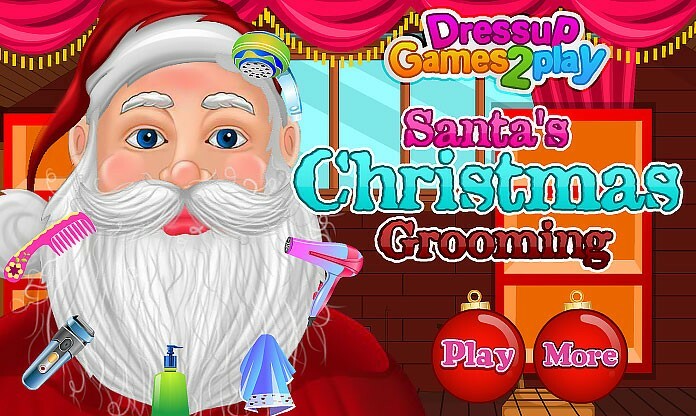 How to play: in this game you will help Santa Claus to wash, dry, comb and shave his beard. He will be very glad of your help. Maybe it will give you more gifts? Use the mouse to perform simple and necessary operation and beard of our hero will Shine like new! Played: 23526. Added: 30-12-2015, 17:24. Santa Clause Christimas Grooming game.